I love two things about this book right out of the gate. First, it is beautiful and feels great. Lovely photographs and nice paper can go a long way. Second, it is designed to take the average beer lover from wondering about homebrewing to making his or her own “jaw-droppingly” great beer. For the first quarter of the book, Matthew Schaefer walks the readers through a brew and bottling. At every step, he provides both mechanical and fermentation details so the reader will know what and how to do something and why it needs to be done at that point. From there, he explores all-grain/partial-grain mashing, again, in a very accessible manner. 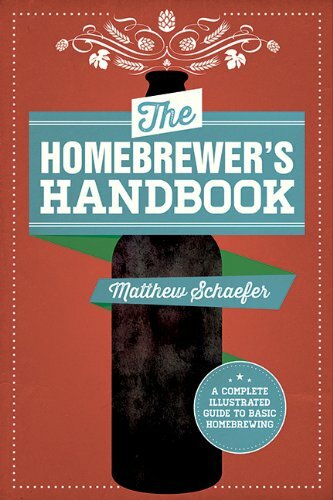 The Homebrewer’s Handbook (Skyhorse Publishing Inc., Paperback, $14.95, 272 pp) finishes with identifying and sourcing problems. For the uninitiated, this is a good road map into the world of homebrewing. For those with a bit of background, this can elevate their game.